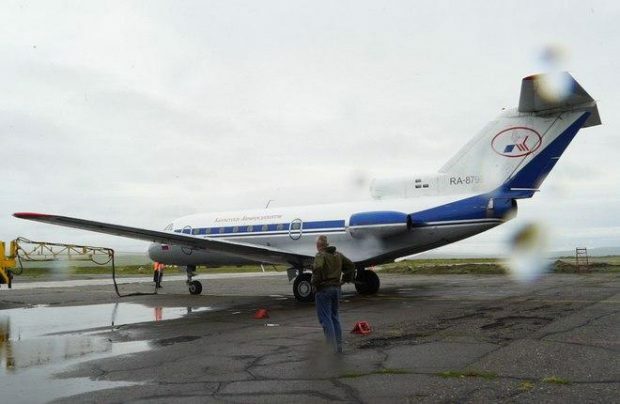 A Russian startup has wet-leased a Soviet-made Yakovlev Yak-40 regional trijet with the aim of launching scheduled air services between Kyzyl, the capital city of the Republic of Tuva in Siberia, and several destinations in neighboring regions. The company, registered in May 2017, is known as Ayana Airlines. As the would-be carrier does not hold an air operator’s certificate, it is leasing the aircraft with crew from Petropavlovsk-Kamchatsky Air Enterprise, and will take care of everything outside the flight operations, such as ticket sales, slot coordination, and passenger services. Ayana’s first route, started on August 1, is from Kyzyl to Ulan-Ude in Buryatia via Krasnoyarsk and Nizhneangarsk. On August 3, it performed its first flight from Kyzyl to Novosibirsk with virtually all the 30 seats filled. Twice-weekly operations from Kyzyl to Novosibirsk and Krasnoyarsk will continue until the end of September. Ayana’s predecessor Tuva Airlines used to operate interregional routes with Antonov An-2 single-engine propeller-driven biplanes until the Federal Air Transport Agency put a ban on such flights. The airline still has three Mil Mi-8T helicopters and continues to provide passenger services. It also provides operational support to Ayana Airlines. Ayana’s initiative also found support with the region’s transport ministry. The parties have been in talks for several months now, since NordStar, a major regional operator, disconnected services between Kyzyl and destinations elsewhere in Siberia for technical reasons. Ayana Airlines hopes it will obtain government subsidies next year to support current operations and further expand its network. The carrier’s registered capital stands at just 10,000 rubles ($170).